Discussion in 'Tactical Gaming' started by Mustawd, Feb 7, 2018. We're super excited to announce that Achtung! Cthulhu Tactics will launch on Steam on October 4th! We also have a brand new gameplay trailer for you and a whole new set of exclusive screenshots that are now live on the Steam store page. The new assets showcase various locations from numerous missions within the game and also provide a first look at some of the mythical Nazi weapons and enemies you will be faced with. Check out the new launch trailer below! With exactly two weeks to go until the launch of Achtung! Cthulhu Tactics, we're going to be sharing even more behind the scenes content and giving you an insight into the Forest of Fear. If you have any questions, please let us know below or drop us a message in the Community Hub. We can't wait to share the game with you next month! Pffff, set during the worlds wars again, i really hate this settings. Still, the trailer is appealing. This actually looks way better than I ever thought it would. Terrible name though. Wonder how it'll be? "challenge the Great Old Ones"
Late September - October 2018: When every indie rpg dev ran out of money and released their games. The final boss is Obersturmführer Howard Philips L.
The game has a number of flaws, so it's best be taken for what it is - a digital adaptation of a table-top game. With a bit bigger budget it could have been on par with Mutant YZ. - It is linear, with 11 main and 10 optional missions. - The maps are small, and only come in 2 flavors - a forest and nazi "katakomben" base. - There's no itemization to write home about, you get some consumables, like grenades and medi-kits, and some weapons upgrades, like improved ammo or better scopes, but that's it. 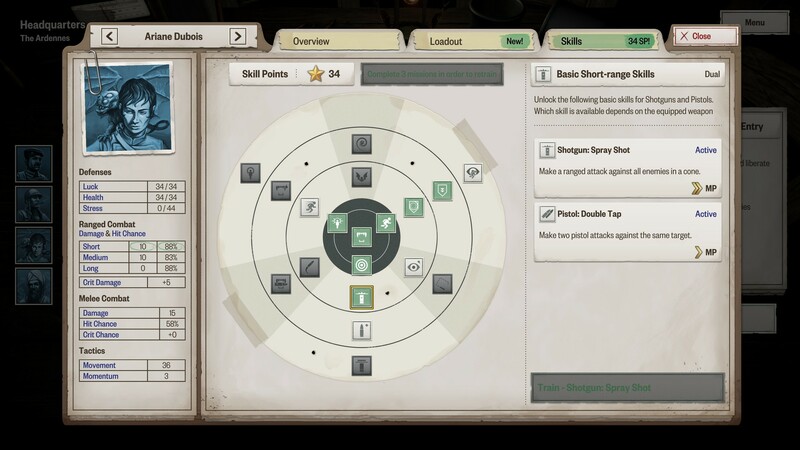 - Stat progression is automatic, but you can choose skills. 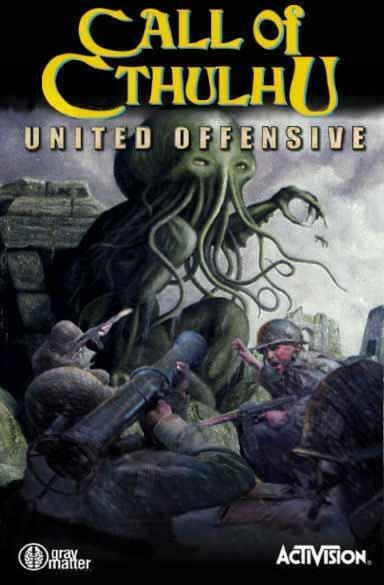 Yet the game has some charm, and is short enough to end before I got bored in shooting cthulhu-nazis. so you know someone's there, but can't attack them before making an eye contact. - Chain of command - the highest ranking officer provides points to a shared pool of "special actions" based on his leadership stat. So if your Cap goes down, so does the number of your tactical options, as Sarge is a less inspiring leader. All in all it was pleasant enough, but I doubt it would get in any "must see" lists.